Products are Shrinking, Can Your Process Keep Up? Products, in many industries, are shrinking to the point where people can no longer reliably handle or assemble them. This trend is accelerating and is creating demand for automation that can transfer, feed, align, and fasten together complex, 3D parts. In addition, the automation itself is shrinking and, in some cases, requires extremely compact, desktop safe automation components. 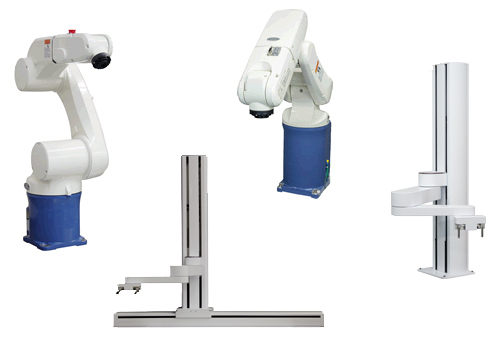 We have over 30 years of experience in flexible assembly automation. Based on this experience, we have developed a hardware and software architecture that allows you to set up and program a material handling or assembly automation system very quickly. A major goal for our new architecture is to eliminate the need to bring in an automation expert to set up and run your system. In the area of precision assembly, we help our customers achieve high-yield, fast production ramps for products that contain parts ranging from 0.5mm to approximately 100mm in major dimension. In the area of material handling, we help our customers load machines, collect and process laboratory samples, and package products. Our vision-guided motion control, combined with our mechanical technology, allows us to develop very low-cost, high-performance products for these tasks. OEM machinery manufacturers can use our new, low-cost, easy-to-use motion and vision controls to add new capabilities to their equipment and thus address new markets.